Uptown Saint John Inc. (the official voice of more than 650 business and property owners operating in Uptown’s 20-block Business Improvement Area) recently announced that they are moving from their current location on the 2nd floor of 40 King Street to street level office space at 17 Canterbury Street. Uptown Saint John Inc. is really excited about this move and who can blame them? This block of Canterbury is really taking off with all that’s happening right across the street with Historica’s Canterbury Car Park Project. The visibility that this storefront space will provide is a huge benefit to them. They are a perfect fit for Centerbeam Place and I’ve heard rumours that they plan to take advantage of Centerbeam’s courtyard for future uptown activities. Can’t wait! who doesn’t love a medieval door? 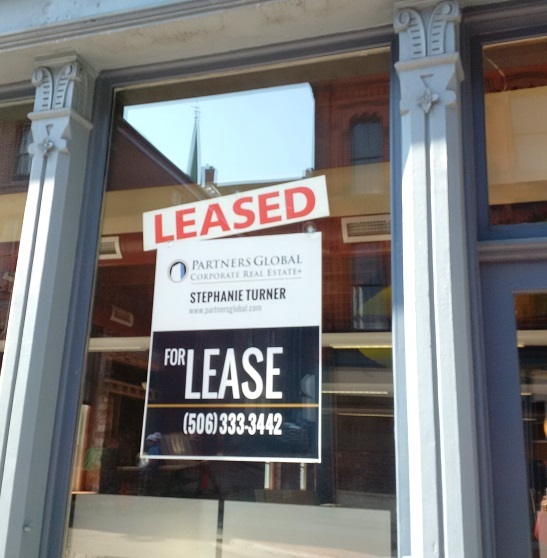 By Stephanie in Commercial Real Estate, Office Space, Partners Global, Saint John on September 16, 2015 .